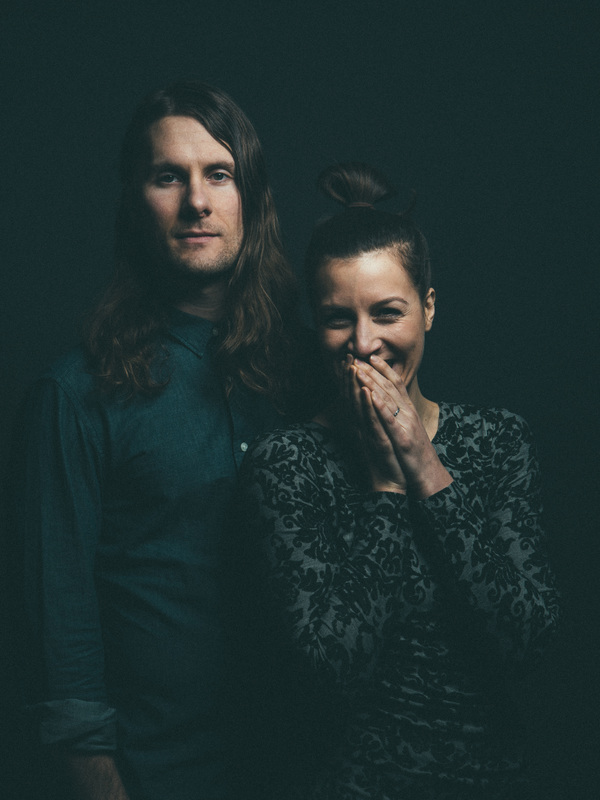 Alternative folk group The Bergamot has been spreading their good vibes through music for years. Today, they release their new record TONES after four years. Originally from South Bend, Indiana, the husband-wife duo has grown and changed, winning Bud Light Battle of the Bands, moving to New York and getting married. While on the band’s tour The Unity Collective USA, Omnisound got to chat with Jillian Speece about The Bergamot’s new sound, favorite spots on the road, and why they are having their fans sign their car. ​OS MAG: We love the singles “Tones” and “Alive.” The new album has more pop influence than some of your other albums. How is this album different than your previous ones? BERGAMOT: It’s been four years since we released a new album. Our last record “Static Flowers” was written just out of college, and released on June 9, 2012. There has been a lot of growth and failing forward since then. In the past four years we won The Bud Light Battle of The Bands, wrote tons of new songs, gained thousands of new fans, got married, moved to New York City, toured America and went overseas twice, launched The Unity Collective USA project and just this past week landed in Paste Magazine! TONES is a complete transformation from our past records. Unlike our previous records, this album encompasses a mature baroque-pop sound that is dynamic, vulnerable, and robust in songwriting, composition, and production. As an artist you create to create. This is what you do because this is what you were born to do. During the creation of your art, you are engulfed in it--you eat, sleep and breathe it. You give everything to the creation of it - energy, time, finances and so much more. After you finish your project, you are completely exhausted and release it with a reckless abandon. As it crashes out into the universe, there is a bit of you that goes with it. Each new creation carries a hope; this hope desires to connect with others in a meaningful way. Creation is a vulnerable process to which we have committed our lives. So, thank you very much for letting us know you dig “Tones” and “ Alive.” It means so much to know that they connected with you. Plus, those two songs have been getting quite the traction on College Radio across America. OS MAG: Back in 2012 you won Bud Light Battle of the Bands! How was that experience for you guys? BERGAMOT: We would not have won the Bud Light Battle of the Bands without our die-hard fans. We adore them so much! Seriously, they are the “BEST EVER”, and we would not be where we are today without their love, good vibes and support. As far as the overall experience goes, I recall stepping out onto the multimillion-dollar stage with over fifteen thousand people cheering us on and thinking, “YES.” Everything about it resonated. I mean all the hours we put into the contest, rehearsals, all the late nights I had dreamt of that moment, and when it finally came, all I could feel through my body were chills and a deep knowing that we were exactly where we needed to be. We were on track. It all felt very familiar, almost as if I had been there before. The second thing I remember from that experience was swimming in the ocean with Young The Giant and their camp. There is nothing more to say other than “OH MY GOD” - what a freaking blast. They are the coolest dudes. I just love them all, and we learned a lot from hanging with All American Rejects, too. OS MAG: You are originally from South Bend, Indiana and now live in Brooklyn. How did the transition to New York change your sound? BERGAMOT: You know that moment when you bite into your first real piece of NYC pizza? After that slice everything changes. Moving from South Bend to NYC was kind of like that. Once we moved to Brooklyn everything changed. The city has a way of doing that to you. Along with overcoming the challenges and fears, something happens along the way from living here. You begin to open up to endless possibilities, and start to believe anything is possible. OS MAG: You’re currently on tour hitting all 50 states, including a stop in your hometown on April 2nd. That’s a lot of ground to cover in a few months. How has it been driving across country so far? Concrete… lots and lots of concrete. BERGAMOT: The Unity Collective USA tour has been nothing short of a wondrous, challenging “at times”, miraculous adventure. The creation of this tour has taken tons of hard work, drive, great support and passion. Out here on the road, Nathaniel and I have met people from all walks of life. We’ve had shows on large stages with hundreds of fans singing along, performed in living rooms, and even from on top of Ole Bessie. After each performance we invite our fans to sign The Unity Car with their message of unity + peace to the world. We are documenting the whole journey and will be releasing a documentary of this incredible adventure. Additionally, America is insanely beautiful - from the landscape, to the different ways people speak, to the people themselves. Drum roll please and sound the music… from sea to shining sea. But really, this has got to be the year of the road-trip or something. I dare you to get in your car and just start driving. We are so blessed to live in such a glorious place. The reason we started The Unity Collective USA is to lead by example, and show the world we are more united than divided. At the end of the day, we are one. The sooner we can come together in love, and realize that the universe is made of energy, that everything is entangled, and everything is one, the sooner peace will take root in the fabrics of our global society and beyond. OS MAG: During the tour you have been asking fans to sign your car, Ole Bessie, and you plan to auction it off at the end of the tour. Why did you decide to auction off your own car? BERGAMOT: Oh goodness, the stories we have had with Ole Bessie! We have slept, laughed, cried, performed on top of and so many more things with Ole Bessie. She has been our trusty touring vehicle for the past five years, and now with over 276,000 miles on her, it’s hard to say how many more miles she has left. She has spanned America over seven times. We figured as she nears the end of the road, what better way to honor her services than to take her to all 50 states, and invite our fans to sign their message of unity on her creating a collective art piece? Then, at the end of the tour, we will auction her off and donate the proceeds to help build Memorial Children’s Hospital back in our hometown of South Bend, IN. OS MAG: Have you had time to explore the towns you have performed in? What are some of your favorite spots that you’ve encountered? BERGAMOT: Our three favorite things to do in each town are to work out, find the best coffee roaster, and raddest vegetarian joint. In Philadelphia we joined a nationwide gym that is rocking our abs hard. Two of our favorite coffee roasters we’ve found are called Due South Coffee Roasters in South Carolina and La Columbe. As far as fantastic vegetarian places go, we love Cava Grille, Native Foods Café, and just last night in D.C. we found a rad place called Amsterdam Falafel. It was fresh, light, and bursting with all the good Mediterranean flavors we love, and they were open till 3AM. OS MAG: How has it been playing your new music live during this tour before the album has been released? BERGAMOT: Performing live is the lifeblood to my existence. I am at home on stage, and truly am lost to the world. Needless to say, playing the new songs off TONES has been exhilarating. We have gotten to see the faces of our fans as they react to the songs, and you can feel the chemistry - it's electric. OS MAG: What is the inspiration behind your name “The Bergamot"? BERGAMOT: The short answer is it’s a tiny citrus fruit grown in Calabria, Italy used to expel bad spirits, induce happiness, and induce creativity. Nathaniel found the essential oil, bergamot, in a co-op near our college back in 2008. We have been using it as a perfume, tea (earl grey), and band name ever since. ​OS MAG: I have one last question for you, here at Omnisound, we want to know what your spirit animal is and why? BERGAMOT: My spirit animal is a bird/butterfly. Ok so yeah, in many ways I exist between both of these spirit animals. I am a songbird by heart that has a strong intuition and the ability to see what others do not see. Secondly, I am a butterfly who is an announcer of change, constantly seeking wisdom and transformation. Since I was five years old, I have been obsessed with butterflies - in particular their metamorphosis and playfulness. I always wear a butterfly ring that my artist grandmother gave me when I was nine. Here is a watercolor painting my dear friend Heidi painted of it. I just adore this piece.